Real talk: I can’t imagine what my life would be like now if I didn’t have a remote job. 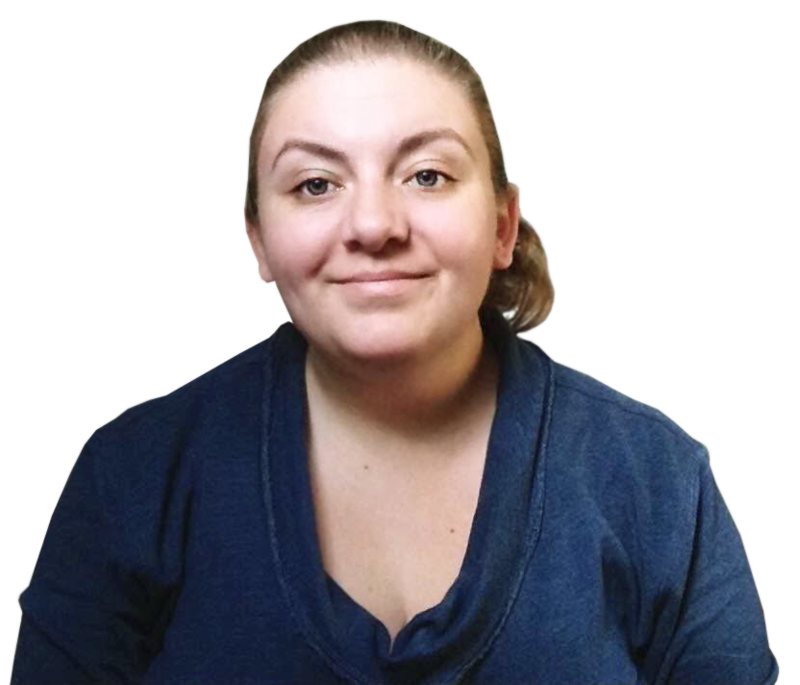 As I type this, I’m sitting in a cafe about two hours from home with Randle, Skillcrush’s Director of Content, who’s traveling the country in an RV while she works. On a more “average” day, I’m working from home in a remote corner of Vermont, where local employment options are…limited. And others on the Skillcrush team work from all over the US and abroad, from home, from coworking spaces, from their favorite coffee shops, and while traveling. 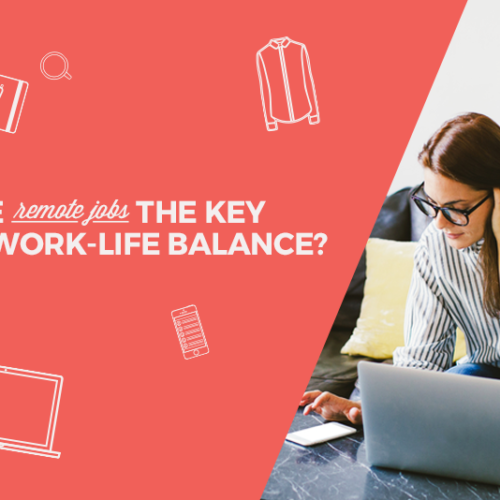 Remote jobs open up so many possibilities for where, when, and how you work. Here are a few ways remote workers can take advantage of the incredible flexibility their jobs allow. Psst! 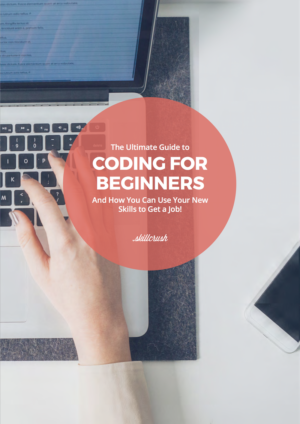 Want the inside scoop on how to land your first remote job? 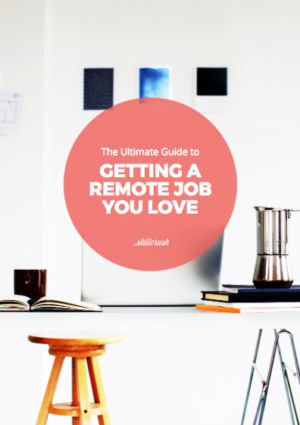 Download the FREE Ultimate Guide to Landing a Remote Job You Love. When you work in a typical “corporate” job, you get a certain number of weeks of vacation each year, usually something like 2–4. But what if you want to spend a month skiing in the Alps, two weeks on the beach in Hawaii, and three weeks driving cross-country with your BFF? Are you supposed to just take a bunch of unpaid days off? Would your boss even be okay with that? With remote work, you can work while you’re on vacation. Forget about limiting yourself to two weeks a year for traveling. Instead, travel when and where you want, working around your travel plans and other activities. For tips on working while on vacation (and still enjoying your trip), check out this post: How to Spend Half Your Time on Vacation Without Getting Fired. For a long time after I started working remotely, I tried to stick to a rigid 9-to-5 schedule. But I learned pretty quickly that I’m not that productive in the afternoons. I get more done when I work first thing in the morning and then again later at night, but not so much between about 2pm and 6pm. In a regular job, I’d be stuck in an office till 5 or 6, whether I was working at an optimal level or not. That means I’d either get less done overall, or I’d end up bringing work home with me anyway. This might sound like a downside at first, but when you think about it, it’s actually great. How many times have you been feeling a little under the weather and decided to take the day off because by the time you get up, get dressed, and actually get into the office you’ll be too exhausted to actually do anything—or you don’t want to risk getting others in your office sick? Or, maybe your kid is sick and you end up having to take one of your sick days to stay home and take care of them. Either way, there are times when you take a sick day when you could actually get work done, but you end up with a ton of work to catch up on when you get back to work. If you’re working remotely, you can work from home in you’re pajamas if you’re feeling under the weather, and not have to interrupt your normal schedule too much when caring for a sick family member. This is a big plus for those times when you hate to miss work because of the time you’ll spend catching up, but you’re just not able to go to the office. When was the last time you had to skip an important event in your family because of work obligations? A dance recital, basketball game, or school play? How many times have you wished you could get out of work at the same time your kids get out of school? How much would that save on daycare costs and how awesome would it be to have a couple extra hours with them every day? Remote jobs mean you can skip out for a few hours in the afternoon for an event you don’t want to miss, and then make up for it at other hours of the day. No more missing those recitals and games and plays. Same goes for traveling for things like weddings or family reunions. You won’t have to take a bunch of vacation time to participate in important events, and can work around everything else that’s going on. Without all the distractions of an office, you can get way more done in way less time. I’m a firm believer that putting in an 8 hour day at home is equivalent to working 10 or even 12 hours in the office, as far as output goes. When you can set your hours around when you’re most productive you can get so much more done in the same eight hours a day. Working when you’re “on” allows you to truly focus on the task at hand without your co-workers popping into your office to “chat” about something that’s only vaguely related to work, or falling down 3pm Instagram rabbit holes! In reality, you can approach this in one of two ways: you can work the normal eight hours and get way more done than you would in an office. OR, you can work fewer hours a day while still getting a normal amount of work done. It all depends on your goals and what your employer expects. 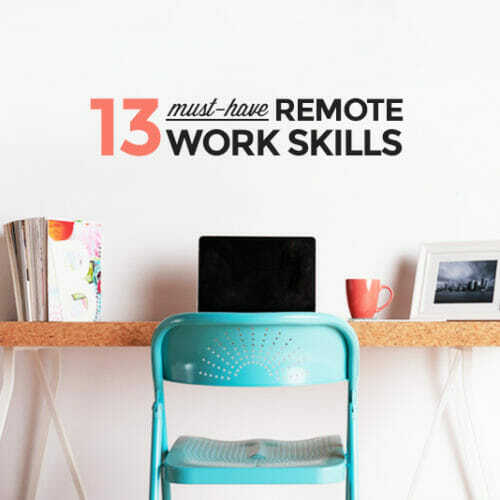 There are tons of other ways you can adapt remote work to your lifestyle and how you want work to fit into your life. The big takeaway is that most remote jobs are flexible enough that you can make them fit your life, rather than constantly having to adapt your life to fit your work. 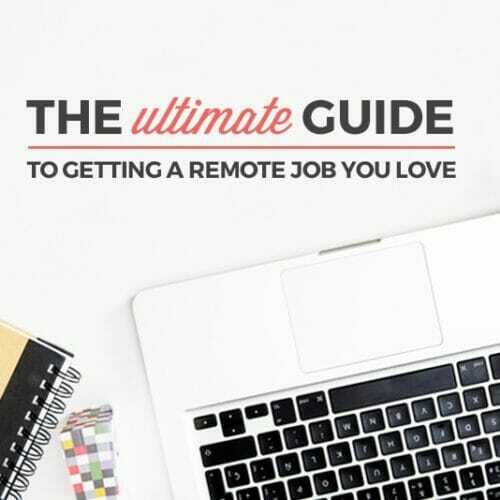 Be sure to get your copy of the Ultimate Guide to Landing a Remote Job You Love to get all the insight you need on starting your remote career.